Colleges and universities are partnering with or purchasing hotels and conference centers, using a variety of business models. See how several institutions are generating new revenue, bolstering branding, and benefiting their communities with such arrangements. In 1983, a fire destroyed a hotel that was located on the main square of downtown Gettysburg, Pa. Five years later, when the hotel still remained vacant without the prospect of redevelopment, Gettysburg College responded to an appeal by the community and invested in a partnership to rebuild the hotel. The Gettysburg Hotel reopened in 1991, with the college as a limited partner. The institution had multiple goals for the venture, including producing income for its endowment and investing in the community to revitalize the downtown square, says Christopher Delaney, associate vice president for finance and associate treasurer, Gettysburg College. Sixteen years later, the college bought out its remaining partners, to become the hotel’s sole owner. Like scores of other hotels that are owned or operated by colleges and universities, the Gettysburg Hotel continues to welcome guests to its community and the campus. In Gettysburg and elsewhere, college- or university-affiliated hotels serve a variety of purposes for their institutions. And those purposes govern the business decisions for structuring a hotel project, including operating independently or partnering with a for-profit company, branding the property, and planning for its longevity. Many college-hotel partnerships, including the Gettysburg Hotel, start as opportunities for a university to play a positive role in its community. At the University of Wisconsin Oshkosh, leaders realized that after several hotels had closed in the area, they simply needed a place for visitors and conference attendees to stay while in town. While the university’s foundation made plans to build an 80-room hotel and conference center, community leaders asked them to reconsider. “They wanted us to join them in purchasing and renovating a vacant, 176-room hotel downtown,” says Thomas Sonnleitner, vice chancellor emeritus at UW Oshkosh. “We thought it through and realized that it made sense to join with other investors because hotels are risky endeavors.” With some financial backing from the community foundation, tax increment financing, individual investors, and a bank loan, the university foundation joined with a hotel partnership group to purchase and renovate the hotel for $16 million in 2012. After extensive renovations, the hotel reopened in May 2013 as the Best Western Premier Waterfront Hotel and Convention Center. With 50 percent ownership, the university foundation has begun seeing returns on its investment, with which it is funding scholarships for students who graduate from Oshkosh high schools. After the hotel and convention center opened, investors began receiving a quarterly distribution of 2 percent of their investment, starting on Aug. 31, 2014. The distribution has increased to 2.5 percent quarterly (10 percent annually), 3 1/2 years after the facility opened, says Sonnleitner. While the hotel project is on track to become highly successful and will likely generate more revenue for scholarships or other projects, its primary goal remains the same: It is a perfect place to house people who come to campus for university events, conferences, and visits—and has been an ideal way to give back to the city by renovating a prime piece of real estate. There has been a hotel component associated with Indiana’s student union since the 1930s, and the Biddle has been in its present location since the 1960s. Owned and operated solely by the university, the hotel has never been affiliated with a management company or a national brand, Campbell says. Its tradition has continued, and the revenue continues to flow, through room nights, conferences, and parking. Even if revenue generation isn’t the chief goal of a college hotel, a successful project will nearly always make a profit—eventually. In Oshkosh, leaders expect the hotel to reach full profitability after five years of operation, Sonnleitner says. $12 million, 12-court tennis stadium on the property. While the UVA Foundation holds onto the Boar’s Head Inn for land-banking purposes, it runs a popular, successful hotel in the meantime. The foundation owns and operates the hotel without an outside management company, but relies on its general manager to oversee the hotel’s 450 employees, Missel says. Still other colleges and universities build or buy hotels to provide educational experiences for their students. For instance, the Metropolitan State University of Denver financed and opened the SpringHill Suites Denver Downtown hotel in 2012, and the college’s hospitality school is attached to the property, providing students with hands-on experience working in an operating hotel, Silverman says. At College of the Ozarks, Lookout, Mo., a campus hotel and conference center is a vital part of the learning environment. As a “work college” that requires students to work on campus 15 hours per week in lieu of paying tuition, College of the Ozarks has several revenue-producing businesses on campus, including The Keeter Center, a 95,000-square-foot multifunctional dining, lodging, and meeting center that has been in operation for 12 years. The college offers majors in culinary arts, meeting and event management, and hotel and restaurant management, and the center offers opportunities for hands-on coursework as well as a student work station. As a work college, College of the Ozarks focuses on teaching the value of hard work, along with its other academic objectives. And working in the campus hotel, conference center, and restaurant is a powerful opportunity for developing a strong work ethic, Hughes says. “Our students learn to work, and they graduate without any student debt,” he adds. Owning or operating a hotel or conference center may take a different form at every institution. The key to success is determining the right model for your particular campus. Consider affiliating with a brand. An important part of the hotel management discussion is whether to affiliate with a national brand. 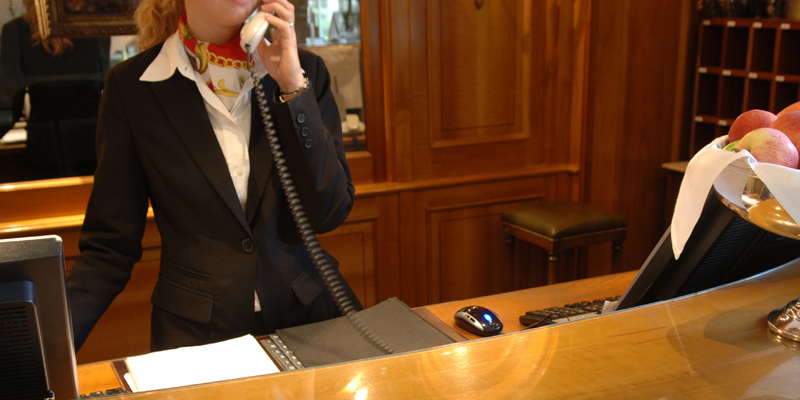 Many colleges and universities with longtime hotel properties have traditionally maintained independent hotels. But with the rise in technology and online booking, many institutions that are new to the hotel business are choosing to affiliate with national chains. UW Oshkosh’s Sonnleitner. Before selecting Best Western, Oshkosh partners evaluated several national chains. They eventually chose Best Western because of its lower fees, partners’ prior experience with the company, and because some of the other hotel flags were already located in the city. Leave management to the experts. Some higher education institutions choose to stay out of the hotel business and instead partner with private industry to meet their visitors’ needs for temporary housing. For example, in 2014, North Carolina State University, Raleigh, completed a selection process to choose a private developer for an on-campus hotel that will join Marriott’s Autograph Collection, Jacobs says. Similar projects are underway or have been completed at Yale University, Middlebury College, the University of Vermont, and Boston College. For instance, the Indiana Memorial Union is currently in the midst of renovating its Biddle Hotel and Conference Center, with a price tag of approximately $8 million, Campbell says. All the guest rooms will be updated with new furnishings and new technology, and the project is funded partly by the union and partly by the university. To be successful in the lodging business, colleges and universities must first determine their objective, whether that is to help build the community, provide housing for guests, boost revenue, bank land, or something else. With the overarching goals in mind, college and university leaders can take deliberate steps and partner with appropriate collaborators to establish the lodging facilities to meet their needs and the needs of their campuses and visitors. Institutions should be mindful that the road to stabilized performance can be a bumpy one, and a successful hotel requires continual reinvestment in its facilities and personnel to maintain its competitiveness.